After Gravity broke records this past weekend and we published our Gravity review which called it a game-changer, we thought it time to present our Top 10 Game-Changing Sci-Fi Movies. Sure, we’ve presented our Top 10 Sci-Fi Movies of All-Time, but this is different. Those are fantastic movies, period. The following ten films below landed in theaters and changed the game of sci-fi forever. There was sci-fi before each of these ten classics, and then there was sci-fi after. We explain why… so here without any further ado is our Top 10 Game-Changing Sci-Fi Movies. James Cameron arguably made a game-changer with his first The Terminator, but it was what he did with its sequel that set the world afire. 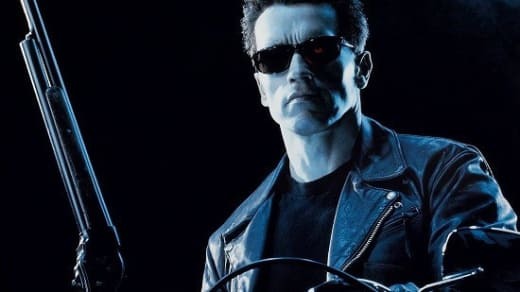 Terminator 2: Judgment Day showed how impeccably technology could be used to enhance a story, but also to create a villain that from the outside seemed like he was unable to be killed. The action sequences were top-notch. The sci-fi element of the story, with its futuristic doomsday scenario, was beyond compelling. But, what sets Terminator 2 apart is Cameron’s use of sound and visual technology to push the limits of modern storytelling. Before The Day the Earth Stood Still, sci-fi was largely a genre form of filmmaking that was reserved for those who appreciated the nerdy wing of Hollywood. But with its communism witch hunt landscape from which it drew its terror, the 1950s classic elevated the genre to something that could also add social commentary to its list of accomplishments. There was very little, if no, use of computer-generated filmmaking before Tron. Its performance at the box office could largely be blamed on the fact that the studio behind it, Disney, had no idea how to market this newfangled form of filmmaking. Only with the passage of time do we see an appreciation for Tron building -- so much so, that decades later we finally got a sequel in the form of Tron: Legacy. Ridley Scott took the stranded-in-space story and added a horror element that illustrated the true power of the art form of sci-fi. Alien was also a game-changer in how it made its lead character not a hero, but a heroine. To this day if you ask actresses who work in sci-fi, they cite Sigourney Weaver’s portrayal of Ripley as the reason they are doing what they do. Steven Spielberg humanized the alien in the sci-fi world with E.T. and everyone immediately fell in love with the little guy, who only wanted to go home. 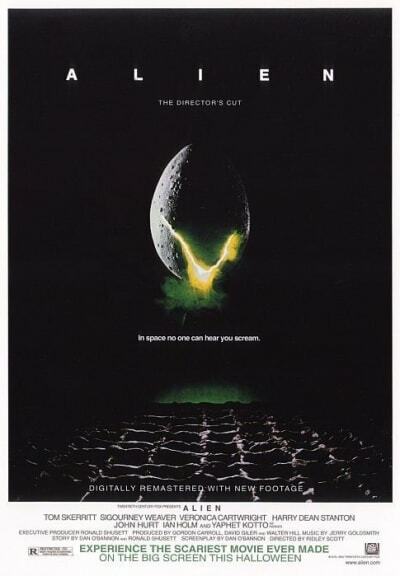 The film became one that millions of people saw repeatedly on the big screen (including yours truly), and not only did it come to define a generation of moviegoers, it clearly defined the humanization of alien characters for decades to come. The Matrix is one of those films where it produces a major marker in time. There is sci-fi filmmaking before and after. 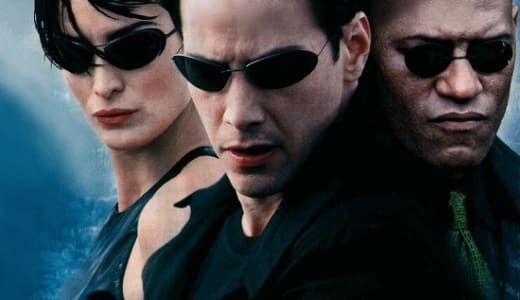 Keanu Reeves may have been born to play Neo, but The Matrix is really about the Wachowski siblings and their gregarious gift. Have you ever seen someone move like Neo does when dodging bullets? And how about when the veil is lifted and the audience realizes that the world around Reeves’ character is all a facade? It is pure sci-fi brilliance and a piece of art that also stands the test of time. Even today films aspire to be Matrix-like, and there are few that even come close. Cameron again lands on this list, and rightfully so. Although some may feel Avatar belongs at number one, it sits firmly in our fourth spot because of the weight the three films to follow carry. Avatar re-introduced the masses to 3D and the technology created to tell the story of the Nabu was revolutionary. Never before had characters that existed solely on a computer carried such weight in terms of visual stunning-ness, but also the emotional power that allowed its audience to become engaged. It is no wonder that it is the highest-grossing film in history. From the moment we saw the first Gravity trailer, Movie Fanatic had a feeling Alfonso Cuaron’s film would change things. After making $55 million in its opening weekend, it is clear we weren’t alone. Again, technology was created to match a filmmaker’s imagination and the result was pure moviegoing bliss. It is difficult to pack a visual punch that is matched by its emotional punch and Cuaron did that, with the help of Bullock’s powerful performance, and the result is a film for the ages. This is easily a case of PG and PG, pre-Gravity and post-Gravity. Mark our words. Stanley Kubrick was an extraordinarily gifted filmmaker, as history has shown. He was able to effortlessly maneuver between genres with the greatest of ease. From horror (The Shining) to his groundbreaking sci-fi effort 2001: A Space Odyssey, Kubrick wielded his camera and changed filmmaking no matter what form his story took. But, with 2001, he brought a view of science fiction that could double as moral authority… as few films did previously. It also used the format to explore some deeper existential theories on the existence of man and woman and our place not only in the universe, but in the higher order of things as well. 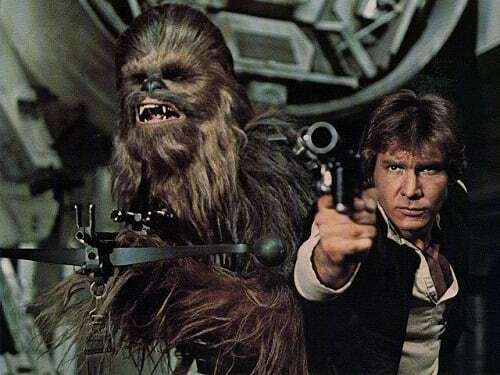 George Lucas not only told a story that in some ways was as old as time -- the rebels fighting back against the tyrannical leaders who enslaved them -- but he also challenged the Hollywood studio system to make a movie that didn’t exist on the landscape prior to that point. And in the process at that point in history, no other filmmaker had put more viewers in seats than Lucas did with Star Wars. He also created a world with Star Wars that as its newest director J.J. Abrams discovered has become almost a “religion,” as he calls it.